The well-known blend of Aloe barbadensis filtered whole leaf & unfiltered inner fillet gel united with Manuka Honey creates a juice with the natural benefits of both Aloe Vera and Manuka Honey. All AloePura juices are made with the smallest amount of handling to allow the natural components to stay perfect. It has a much sweeter flavour with the extra addition of Manuka honey; perfect for those with a sweet tooth. 100% natural aloe vera juice, active manuka honey complex (8%), natural honey flavour, potassium sorbate, sodium benzoate, citric acid, ascorbic acid. Once opened, keep this aloe vera juice refrigerated and consume within 2 months. The Aloe Pura Aloe Vera & Manuka Honey Juice - 500ml product ethics are indicated below. To learn more about these product ethics and to see related products, follow the links below. We use this for our dogs as it is recommended as a good natural product to improve health & wellbeing. 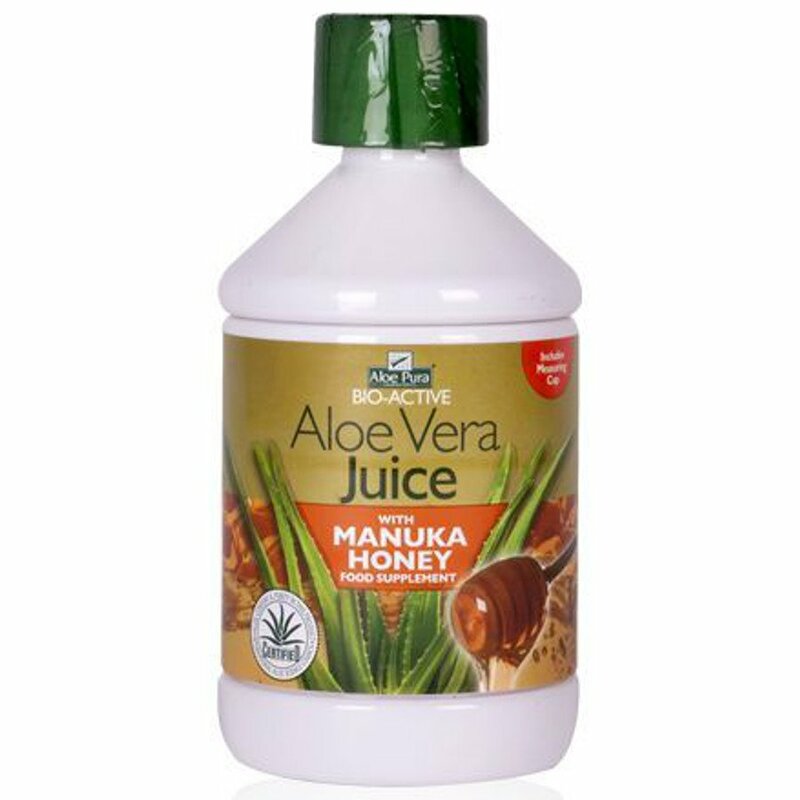 There are currently no questions to display about Aloe Pura Aloe Vera & Manuka Honey Juice - 500ml.